Pulling Out gives voice to young fathers: it is inspired by conversations with young dads in Lambeth and Cornwall. A refreshing change to see a story centred around a vulnerable young dad – a young dad that could easily be stereotyped and slain by the mainstream media. In an opening scene, Bob Yates-Tily and Jenny Davis move around the stage as if blown about by wind and sea. Choreographed by Joel Daniel, it’s a touching illustration as to how these teens lives unravel, being blown about by the forces around them. 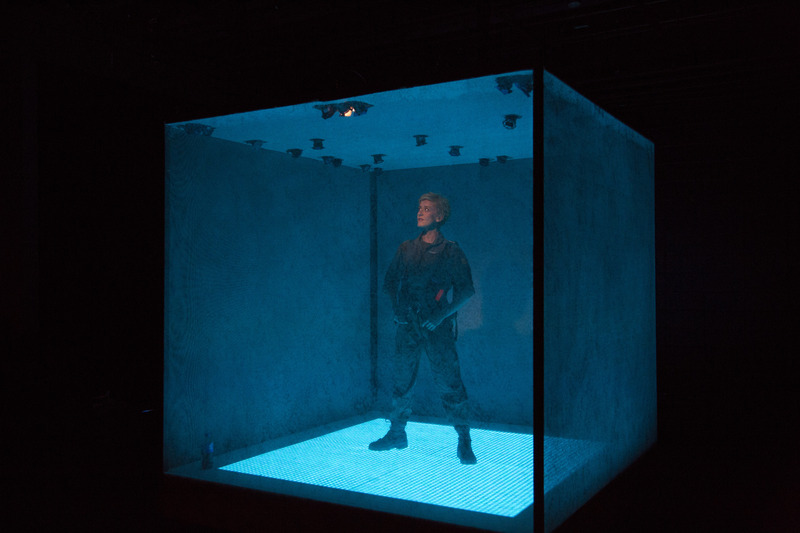 Lucy Bell’s writing in this play is powerful, poetic and gritty, effortlessly bringing relatable real dialogue to a subject that is handled with respect and genuine love. A brief nod to Romeo and Juliet in the turning point of Caitlin and Leo’s relationship is poignant. The love the teenagers share becomes palpable and serves as a reminder to the audience that love is real whatever age you experience it at. I want to quote all my favourite lines to entice you to buy tickets and hear them for yourself, but I’ll just give you one, ‘I thought motherhood was about love and cuddles but it’s not. It’s about shame and failure. 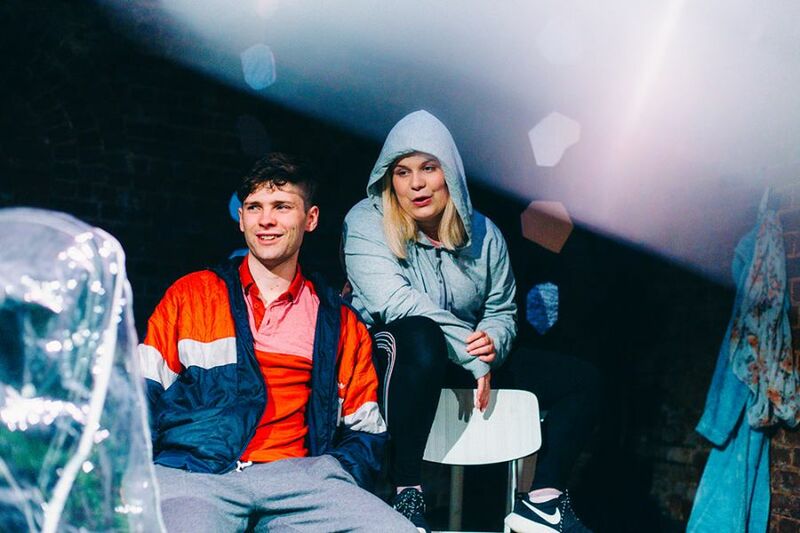 Most things you fail at you can walk away from but not this.’ The brutal honesty and teenage banter contained in this play is naturally of this time. 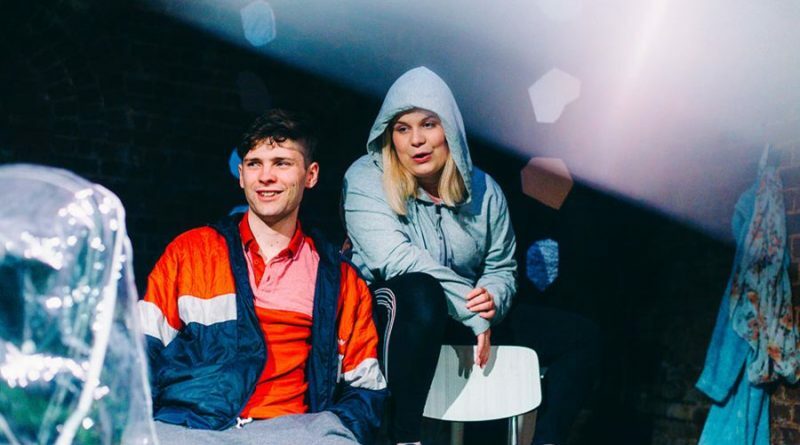 Developed with a similar approach to Score, a play around heroin addiction and motherhood, Lucy Bell writes issue-based theatre that transcends the genre. The tenderness in which Bob Yates-Tily reads a bedtime story to his child is beautifully raw and multi-layered in its meaning. Every audience member melted a little listening to the story of Mummy and Daddy Bear. Jenny Davis becomes a multitude of supporting characters with a small change of costume – her stand out performance being Caitlin delivering her baby, a powerful scene that is ripped through with love, support and vulnerability. Pulling Out is a play in its infancy – it will continue to grow and develop into another powerful piece from Documental Theatre.